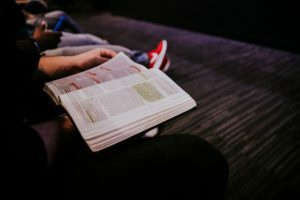 As a church volunteer over the years, I’ve seen the trends: youth ministry, singles ministry, recreation ministry, and most recently special needs ministry. It sounds awesome, right? Let’s make our churches more inclusive. Let’s be more sensory friendly. Let’s educate our staff on developmental issues. All of these are great things and worthy of discussion in our churches. But there I was as a “special needs” parent waiting. Waiting for the church to change. Waiting for my visit to a new church to be easy. Waiting for MY needs to be met. Just waiting for it not to be so hard. We bring noise blocking headphones for worship, the same ones my son uses at school. We go to a contemporary service, so a dark room, bright lights and loud music mean we sit near the back. I leave as soon as the service dismisses or I sneak out the side to avoid the the large crowd gathered to fellowship. Even though my deepest desire is to join in the conversation, my kid pulls me to the car. When will going to church not be so much work?” I wonder? I’m caught in the tension between wanting the world to change to make my life easier, and pushing myself and my son to be self sufficient in a world that will never be easy. 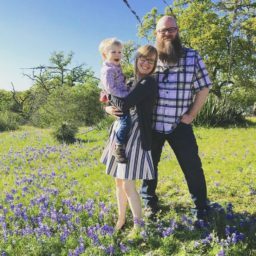 I talked to our children’s minister before we started attending our current church. I’ve even been asked to be on a discussion group for special needs ministry by a dear friend who is a children’s minister at another local church. What do you need,” they always ask? A buddy for your son? A sensory box? Do you want to talk to the Sunday school teacher? I don’t need programs. But well trained volunteers/buddies are awesome! I don’t need a sensory friendly VBS track. Though they sound so cool! I don’t need a special class. But dude, a support group would be amazing! I don’t need sensory play boxes. My kid climbs me, rocks in my lap, and touches my hair. If you would like to volunteer to sit with my kid every once in awhile so I could focus, I would gladly accept. I need relationships. I need a buddy, sometimes more than he does. I need someone to notice me and really ask me how it’s going and how they can help. I need someone to instead of saying, “Looks like you have your hands full.” To offer to walk with me and my kids to the car. I think if we trained our church staff and volunteers to invest in others, really go deep, we wouldn’t need programs. They would see the need and meet it. And special needs family are so unique, so diverse: each one has different needs. You would need to know each family individually. I need trust. I need to trust the church so that I can be vulnerable enough to even ask for help or accept it when it is offered. Sometimes I still struggle telling people my son has special needs. He looks so typical on the outside to the untrained eye. This kind of trust only happens when we build relationships. I don’t think it’s too much to ask to purposely build relationships with those families in your church you know have struggles. I need to serve. As counter intuitive as it sounds, it follows Christ’s example. But, I don’t need to serve my own child. I fell into this trap before. I was in the baby room because my child was. Then, I moved to the toddler room. Next, preschool. Babies are cute but make me anxious. My giftedness are preschoolers and middle schoolers. Crazy… but true. And now I’m leaning into women’s ministry. I need church to be my respite care. Where I can serve and grow in areas of my own God given giftedness. I need to be understood. Maybe this falls under relationship, but it’s also unique. I have several friends, but I only have two or three I call or text when my kid does something unique to his situation that breaks my heart or wears me down. They never compare, or say it’s not that bad, They just say, I’m here for you. Understanding and empathy is hard. This is were training your staff, volunteers, heck the whole congregation, on Autism, ADHD, child development and similar needs would be extremely helpful. You know that kid bouncing the entire church service? He heard everything. He just processes information differently and this big loud room was a lot to take in. And you know how that kid seemed to be okay? After the big event, he kicked, screamed, and had a complete meltdown on the way home. He was overwhelmed and held it in as long as he could. I need open and frequent conversations. I need to be checked up on. How did VBS go? How did Sunday school go? What was the hardest part? The best part? I’m not waiting for the church to meet my needs. I’m showing up, even when it’s hard. But sometimes the hardest things, those are the most beautiful. At one point at VBS this summer, we attended the group worship and music session. I looked around and felt the tangible Spirit of God and his grace. It hung thick. The children and volunteers made a large circle, 200 plus, around the sanctuary. Most standing and holding hands. Shy of two boys in my group who wouldn’t hold hands, but danced beside me. Then, Two little girls who seemed too shy to join the group but sat joyfully signing. A boy with Downs Syndrome and his mom sat in the center. And my son, in the lap of his “buddy,” his headphones on, rocking to the beat. All of these singing or worshipping in their own way. That’s true inclusion. Not everyone doing the same thing in the same way. But everyone included, joined for the same purpose, each in their own way, bringing with them their own giftedness. No one even saw the tears in my eyes. That day was beautiful, but many are still rather hard. Dear Church, I don’t need your special needs ministry, but I really want the relationship. I wrote this openly to the Christian church, and not an individual church. I feel if the Church embraces relationships over programs there will not be a need for “special needs” ministry. In fact, the needs of an entire congregation will be met together: the single mom, the widow, the big family, the college single and more. All the sensory boxes in your foyer won’t get me to stay if I don’t have a relationship with the people of the church. Key Ministry promotes meaningful connection between churches and families of kids with disabilities for the purpose of making disciples of Jesus Christ. Their blog posts are encouraging for both church leaders and special needs families. A special needs family encourager and author. Church leader and mom of two cool boys, one with Autism. Author and public figure: Down syndrome and adoption are her jam. The pictures of her kids will brighten anyone’s day. Mom of two amazing boys with Autism. Seeks to find beauty in everyday life. Advocate for inclusion. Imagine if ALL people could read this!!! I have a special needs foster son who since his arrival a year and s half ago has meant big changes to how I do church. This article is so spot on. Thank you. I’m so glad you could connect to what I wrote. I hope you found some encouragement too.